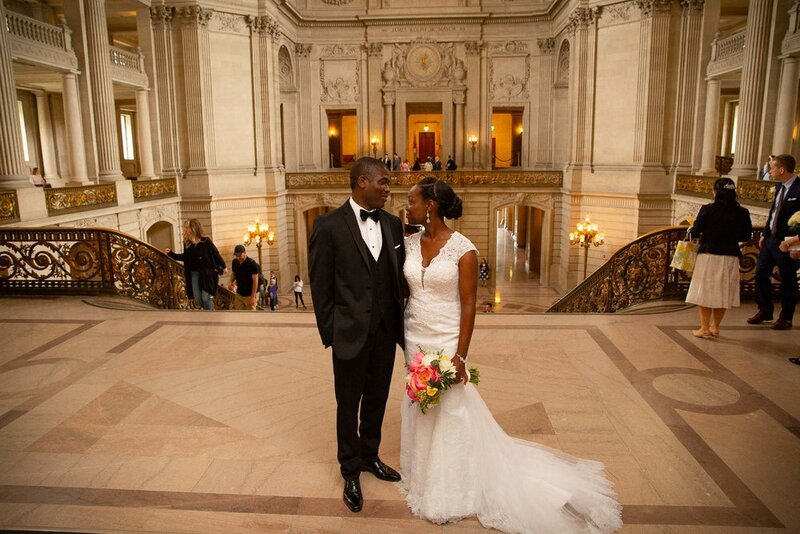 Getting married in San Francisco is great and one of the best places to elope is the San Francisco City Hall! 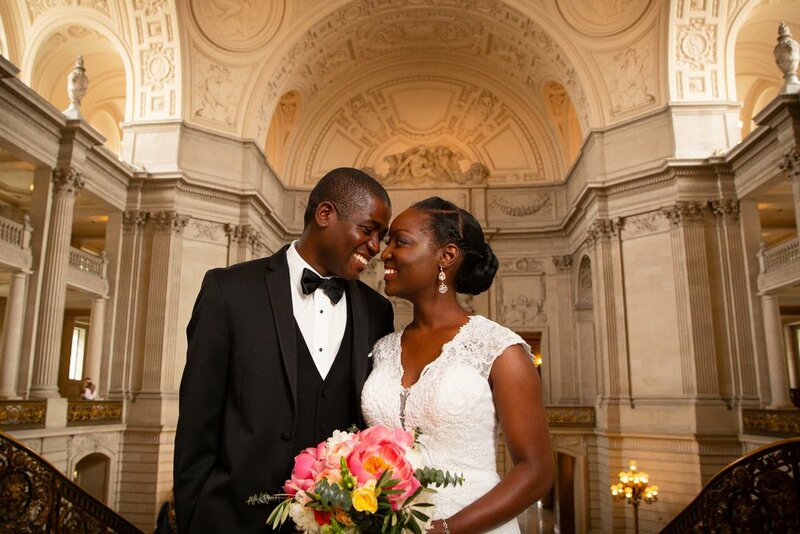 Atiyyah and Guy-Marino got it right when they decided to have their wedding ceremony in San Francisco City Hall. 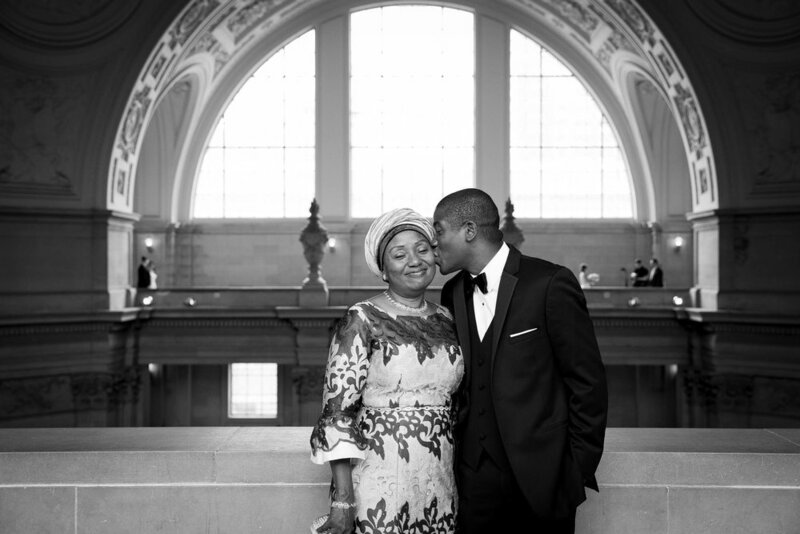 It's soooo gorgeous and works really well for a small wedding in the Bay Area. Working with these two here was such a treat; a beautiful, super sweet couple in a really pretty setting...who could ask for more!?! :D On top of that their families were incredibly nice. 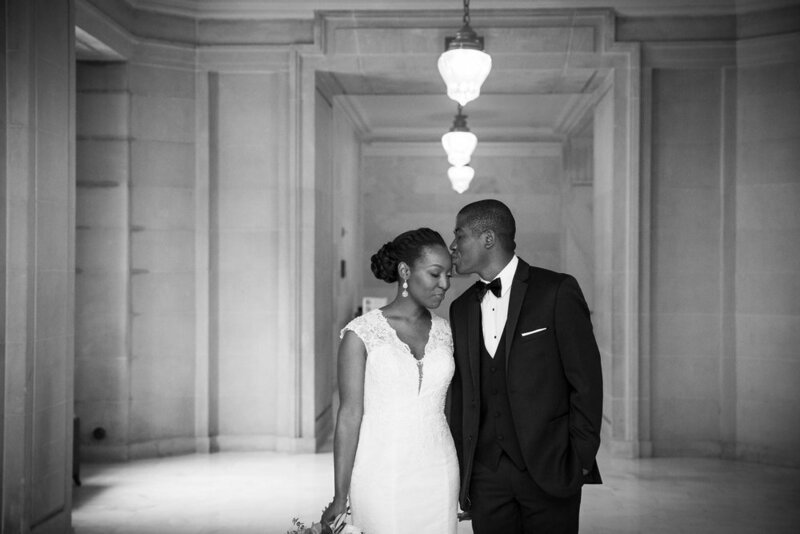 Please enjoy a small peek into their intimate wedding ceremony followed by portraits around San Francisco City Hall! 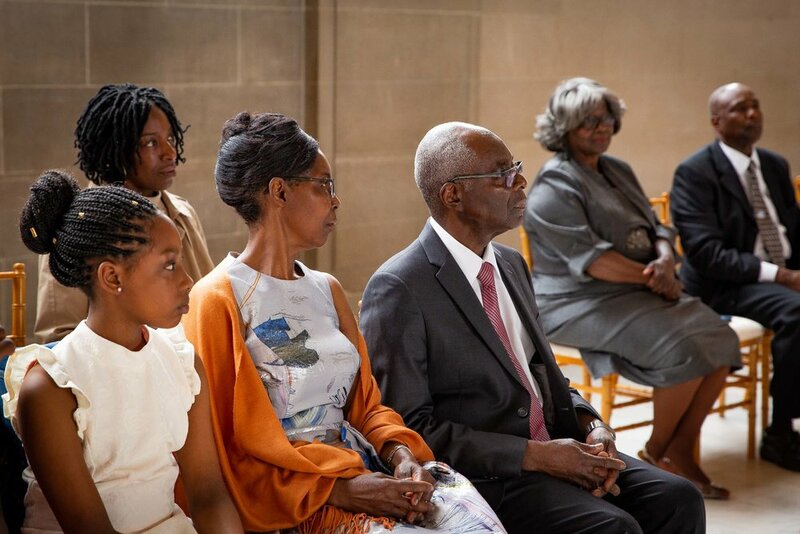 Congratulations again to Atiyyah and Guy-Marino!